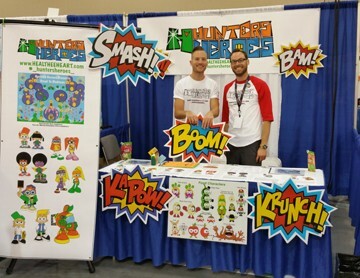 Brett Zambrovitz and Marclay Richardson, creators of Hunters Heroes. 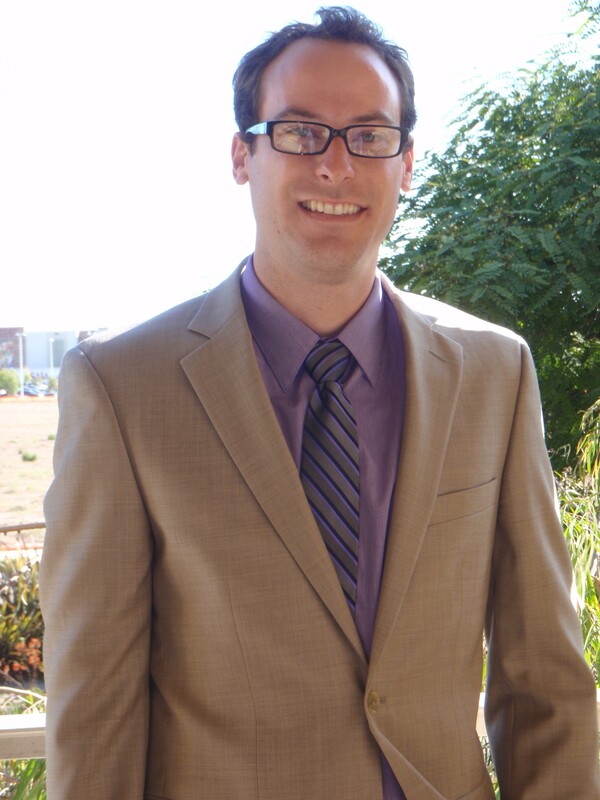 Marclay Richardson is on a daily quest to change how children feel about celiac disease. Richardson, a 20-something real estate agent with a knack for storytelling and technology, recently partnered with his friend, Brett Zambrovitz, to launch Hunters Heroes Adventures. The animated superhero book series, with accompanying website, is designed to empower young children who have celiac disease, gluten sensitivity and other food allergies. Richardson was inspired to create the series by his experiences with celiac disease. Diagnosed in 2000 at 13, he felt gluten-free children lacked a resource that spoke directly to them. Specifically, he longed for something that children with celiac disease could relate to. The idea stuck with Richardson through his teen years and into adulthood. A few years ago, he began brain storming with Zambrovitz, a storyteller and illustrator. Together they came up with the idea for superheroes with celiac disease, food allergies and intolerances who go on to face trials and tribulations related to the foods that cause them trouble. Each story focuses on challenges children face, including peer pressure and bullying. Richardson was drawn to superheroes because they inspire children but wanted to create superheroes that children could connect with and learn from. And that’s how Hunters Heroes were born. Led by Hunter Heart, who has celiac disease, a squad of superheroes set out to show that foods containing gluten, peanuts, lactose and eggs may be harmful to some, but should not stop children from feeling awesome. In June, Richardson and Zambrovitz released the first book in the series, Road to Blubious.They created a related blog, Hunters Heroes Food Allergy Revolution Time- otherwise know as FART-where Hunter and another character, Katie Kale, share tips and recipes for a healthy lifestyle for kids. We recently spoke with Richardson about his average day. It turns out that like the superheroes he writes about, he has the power to make a difference on a daily basis from his home in Oxnard, California. I usually wake up pretty early, around 4:30 or 5 a.m. I usually get the blood pumping by doing 20 push-ups, 40 standing squats, 10 dips and 10 pull-ups. After that, I have a juice made from a smorgasbord of vegetables and fruits. At about 10 a.m. I have breakfast. Normally, I do two eggs, one sausage patty, two pieces of gluten-free toast and an avocado. I picked this breakfast up while studying for my master’s degree in Australia. I was there for a year, and the big thing is eggs and toast. I like it because it can be made in so many different ways. In the morning I answer emails, read and make phone calls. I usually take my dog to the dog park and let him run around. I work from home a lot, but sometimes I get very busy with my real estate work. Every day working on Hunters Heroes requires problem solving because we are trying to develop a children’s series that educates children, both those with and without food intolerances, but is fun for all children. We are now brainstorming conflicts for our next story. Brett and I use real life experiences to recreate situations which children can learn from and laugh at, at the same time. On the other hand, Brett and I have to put on our business thinking caps. We believe our characters can fill the gap of new relatable superheroes, and we are in the process of finding ways for Hunters Heroes to reach children all over the country. I usually do a bigger lunch. I am really big on BBQ. I grill chicken breast and make a sandwich or make buffalo burgers. If not, maybe a turkey sandwich with heirloom tomato. My favorite part of the day is the morning because I love breakfast food, and I can eat as much as I want since I have all day to work it off. It is the only meal that truly affects my day. If I skip breakfast my energy, focus and patience is noticeably affected. I usually have a protein and two vegetables. I like sautéed spinach. I add peas, corn or a sweet potato. Do you work after dinner? At night I do a lot of work with Brett. We are both at our computers, and we can implement the day’s brainstorming. He is definitely more on the creative side, while I really help on the technical side building the website. We’re creating more interactive things online, as well as creating new books. The website was launched in late 2014. Along the way, we have narrowed the focus. We are at the point where we are ready to go a lot bigger. For our blog and website, we are trying to create simple dishes and snacks that look really cool. There are a lot of short videos, including gluten-free pancakes with blueberries that are blended into the mix so they look like tie-dye. Brett has the vision to see a piece of fruit and make it crazy looking and unique. We made a turtle out of a watermelon. What’s the one thing you would like to tell kids who have celiac disease? Not to think that they are different. That is something that I definitely struggled with. My personal experience was not being able to eat at different places. I would blame myself even though there was nothing I could do about it. I would tell kids to accept what it is and that everyone is different. 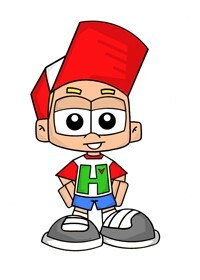 What message do you hope to send children with celiac disease and food allergies through Hunter and his friends? 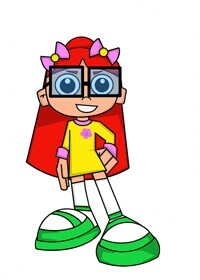 What we are trying to do is create several characters with different personalities for kids to relate to. Some of them are louder and funnier, some are quieter. Take the positive you find from the characters and implement them into your life. The most important thing is to be happy and enjoy good foods. Are children reaching out after reading the story to share their experiences? When can readers look forward to the next installment of Hunters Heroes Adventures? One of our next books is about Hunters Heroes attending a birthday party and dealing with the simple interactions with peers and adults. It doesn’t sound that bad, but think of a 6-year-old child explaining to an adult why they cannot eat the same food as everyone else. This is not easy and can cause emotional stress instead of the child having fun at a party. It will be available Amazon, our website and the Celiac Disease Foundation marketplace.